Literature and the spirit of Rouyn-Noranda have come together to create a more intimate journey into the history of the city through statements of artists, builders and prominent figures from various spheres of our community (political, cultural, sport, historical, etc.) who have contributed to its development. 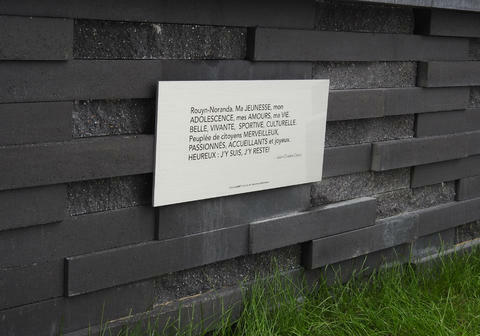 These quotations are engraved on plates installed on buildings across Rouyn-Noranda. Get a map of this route from the Rouyn-Noranda Tourist Information Office or online (tourismerouyn-noranda.ca).